Two crescent moons dance around Saturn as far-off Dione slips behind its sibling moon Rhea. From Cassini's perspective, Rhea's bulk (1,528 kilometers, 949 miles wide) completely covered her smaller celestial companion Dione (1,126 kilometers, 700 miles wide) for about three minutes before the smaller moon re-emerged. The images used for this movie sequence were taken over approximately 27 minutes as Cassini stared at Rhea. 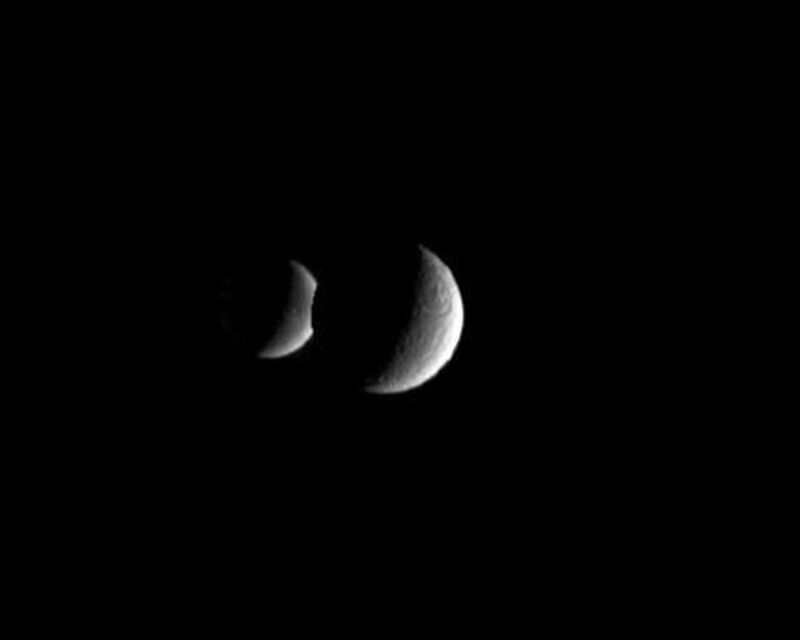 The images were aligned to keep Rhea close to the center of the scene. Additional frames were inserted among the 38 original Cassini images in order to smooth the appearance of Dione's movement -- a scheme called interpolation. For another eclipse movie showing these two moons, see PIA06199. 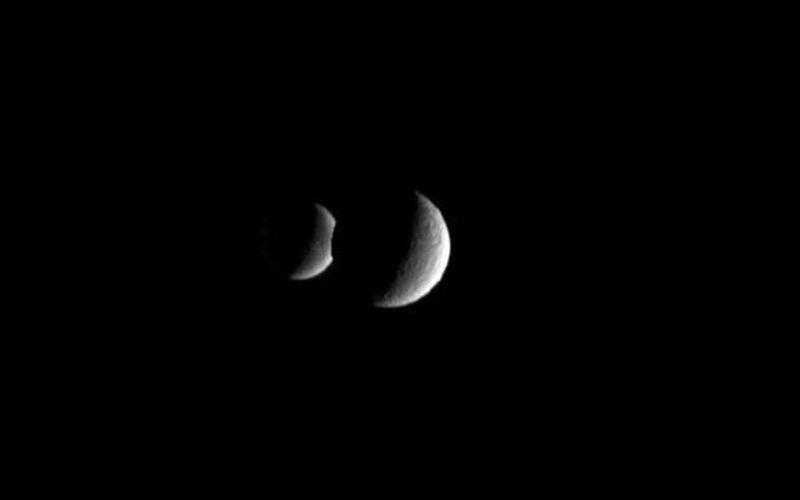 The clear-filter images in this movie were acquired with the Cassini narrow-angle camera on Dec. 5, 2005, from a distance of 2.4 million kilometers (1.5 million miles) from Rhea and 2.7 million kilometers (1.7 million miles) from Dione. Image scale is about 14 kilometers (9 miles) per pixel on Rhea and 16 kilometers (10 miles) per pixel on Dione.